Computer aided publishing careers are careers related to production of publications such as newspapers, magazines, books, greeting cards, calendars, directories, and other published material. Although these types of publishers have different content and formats they mostly hire people who love writing and editing. Traditionally publishers produce their publications in the form of printed materials. Today they are increasingly producing its material in other formats, such as online or other digital formats. The digital trends make computer aided publishing systems a necessity in the publishing industry. 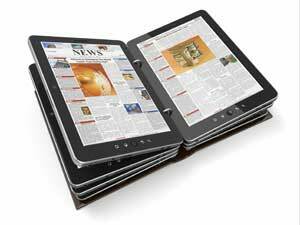 Publishing newspapers, magazines and books follow similar steps to produce publishable materials. Some publishers make materials internally using a staff of writers, reporters and editors. Other publishers however, buy their material from independent contributors and get the legal right to publish the material before publication. Editors are organization functions that research and collect stories as well as supplement them with photo and illustrations. The editors review and edit the manuscript to make sure it is clear and interesting. They also develop captions, headlines and design of the pages and the covers. Magazines, newspapers and directories make money by incorporating advertisements in their pages. For this purpose, content and advertisements are assembled into pages. The printing process involves putting the pages on film, and then burning the images from the film to a thin aluminum plate. Once the paper is ready, the plates are installed on printing presses the presses print the paper. Publishers’ marketing and circulation departments are responsible for promoting the publication. They work together with the distribution department to ship the publications to subscribers or retail distributors. Another form of delivery to readers or subscribers is online. Most of the publishers reformat material developed by the print publication’s regular staff to suit the strengths of online delivery. According to Bureau of Labor Statistics, “As the need for news and information continues to grow, the publishing industry will be in the forefront. Books, newspapers, and magazines, produced in a variety of media, will be needed to keep people informed. Do you love to work with computers? Are you a continuous learner? If you have good computer skills and are able to work in multiple mediums chances are publishing careers are one of your best careers. Today publishers are going online. For this purpose they hire more writers, reporters, and editors to update content. There are also web masters and web designers to run and maintain their sites. They are looking for more people with skills in manipulating digital data. These needs make computer aided publishing careers are careers with a good prospect.